There are so many dilemmas that fall the cat eyes. From the way they are shaped by the way they function. That is why women like to experiment the same mysterious look through putting on makeup to resemble the shape. That dint starts now, it is traced to many years ago. In the year 1920s, Josephine Baker came up with the look. Through her, the type of makeup became popular among the actress and many stars because the look used to make her bond especially when she paired it with a dramatic pair of lashes. Up to now, more and more people are experimenting the look and we all admit it is interesting and stunning at the same time. Do you want to start the look? It is never too late to start how to do so. 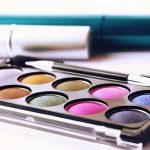 There is no better way of putting on makeup than to involve the upper and the lower lashes to accomplish a popping look. I Know you must be thinking ‘what do I need for the look?’ well, no need to worry, you will be surprised to know that not much is needed for the look to be accomplished. All you need is gel, cream, liquid or pencil eyeliner and a primer then you need a tape for your angle. Simple, right? You also need to remember that for a beginner, it is good to have an angled eyeliner. This will help you achieve a flawless flick at the wing. You need to know that the technique for coming up with a perfect look is the same. So what changes? After you have gotten the angle and the flick right, what will remain is you to determine the length and the thickness of the wing depending on your eye shape. For you to achieve a polished and good look, this is what you need to know about the dimensions. It is the intensity at which you will repeat the eyeliner. If you are in a mood of being bold, then you should go for a thicker look as this makes your eyes look big and round. If you want to go for a thinner look, elongate the shape. Thinner line creates an illusion of longer eyes. This is how long or how sharp your wing should be. You should be careful not to make it too long or too short if you want to be simple and have a kitten like a look, you need to go for a short wing and if you want to be dramatic and catch everyone attention, you need to go for a long wing. The shape will give you the cat look that you are yearning for. You need to make sure that you don’t tamper with the liner while applying to achieve the look. A straight sharp flick is used for an edgy look while a curved flick is for those who want a graced aura. Never ever pull the skin along the browbone when creating the flick. That might end up messing the whole look that you have been preparing to see on you. For you to have an easy time while drawing the flick, you need to look down so that the skin around your eyes can be smooth and free to work on. You need to invest in a good big mirror. 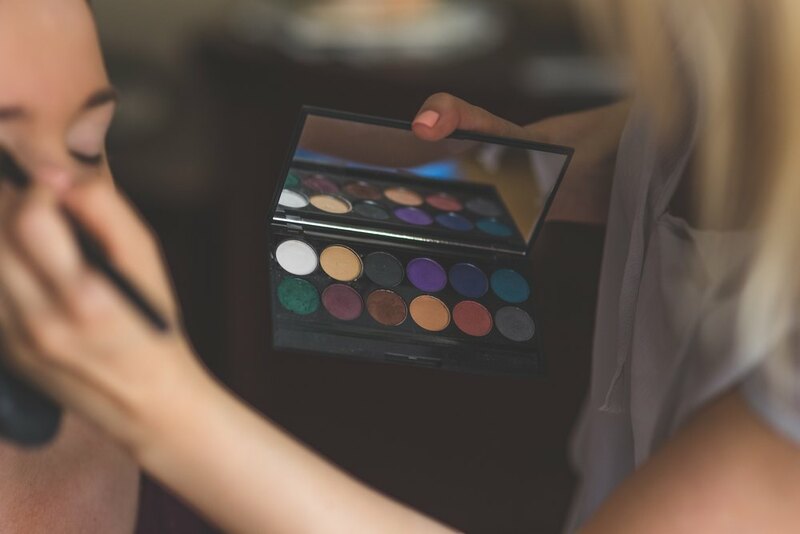 For you to achieve a perfect look and make sure that you get it right, you need to invest in a big mirror so that you can see your makeup on all angles. You need to make sure your hands are stable. You can do that by making sure you apply your makeup on a dressing table. That way you can be assured that your hands won’t shake when you are making those angles. Now that you are informed on all you need to know before you start, its time to dig in and get that perfect look. Like mentioned earlier, this look is for everyone and anyone can get it right, all you must do is concentrate and just get the look. Follow the following guide. For you to attain a stunning look, you need to prepare your face for the look. That means that you need to cleanse your face with the right cleanser then you need to tone and moisturize it to get it ready. For any puffiness and reddishness, you need to use Serum to get rid of the blemishes. It is time now you start making your line. Using the eyeliner of your choice, draw a line at the edge of your tape after placing the tape. It should be a continuation of the last lash going up and outwards to attain that cat eye look. Now that you have got the line, its time you work on your corners. You can do that by working on the rest of your top lash line towards the inner corners of your eyelid. Try to stay close to your eyelash as possible. Is the look coming? You can see it from afar. Now that you have the lines right, it is time to make sure that you fill the area between the top and the bottom. You can do so by using an eyeshadow or just use your liner to attain the look. Make sure you fill it well and blend it in. It’s time to find your shape. The shape that the cat eye will take will depend on the shape of your eyes and how much you want to build in the wings. By now, you must have the look and already look stunning even without the finishing. With the cat eye shape in place, it is time to play around with colours. With the look, you have a lot to choose from depending on the look and the mood you want to set. The look is convenient for everyone hence there is no need of being afraid of experimenting. Here are some of the looks. After you have attained the cat eye shape, you can feel the eyelid with different shades of black to add contrast to your eyes. With black, you can do it well since the colours are neutral and can be worn for any occasion. Make sure to blend the colours well for a more polished look. You should not be afraid of using colours. They make your eyes stand out and have the ‘all eye on me’ look. You can go for bolder shades if you want to be conspicuous or you can go for neutral colours for an earthlier all-day look. This is the look you want if you want to pop out while keeping the cat eye black. You can use a colour on the bottom of your lid and maintain the black on top of the eyelid. To attain it, you need to create the normal cat eye look then run a bright colour at the bottom of the eyelid to finish the look. Glisters are meant to shine and stand out when worn by an individual. You can also use the glisters when you are anticipating a fun night will your friends. All you need to do is to create a normal cat look then use glisters on the bottom of the lid. Make sure you blend in the glisters and you are good to go. Not only can you elongate your eyes by having a cat eye look, you can also do it by using fake eyelashes. They are used to polish out the look by adding volume to your eyes. Make sure you place them well then apply mascara upwards separating them at from the real ones at the corners. Cat eye look has been there since the early ages and it is time for you to try it out. It is evident that it is here to stay so there is no harm in trying out the look. It is a look that can be adopted by everyone and that makes it safe to try even for beginners. You need the right tools and little skills to make sure the look ends up being stunning and beautiful. If you are new in this, there is no need to worry, no you have the tutorial you need. Follow the steps and polish the final look and you are in for a star look.